“Thank you so much to Dreamspinner Press for hosting me today to talk about my novella, Ahava is Love. 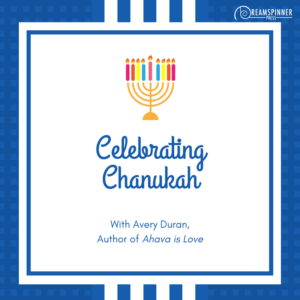 Ahava is Love came out this summer, but the majority of the book takes place during Chanukah, and the themes of the holiday – faith, miracles, and resilience – run through the story. Click here to read the full post on Dreamspinner Press.